An anthropomorphic robot has several names, and the most suitable as generic should be humanoid, with Latin root, since anthropoid is a word reserved for animals that look similar to humans, for example some apes with short snout. However, although the word android should be used only for robots shaped like human males, actually it had became the most used to refer to robots of any genre, and the word gynoid has been marginalized. 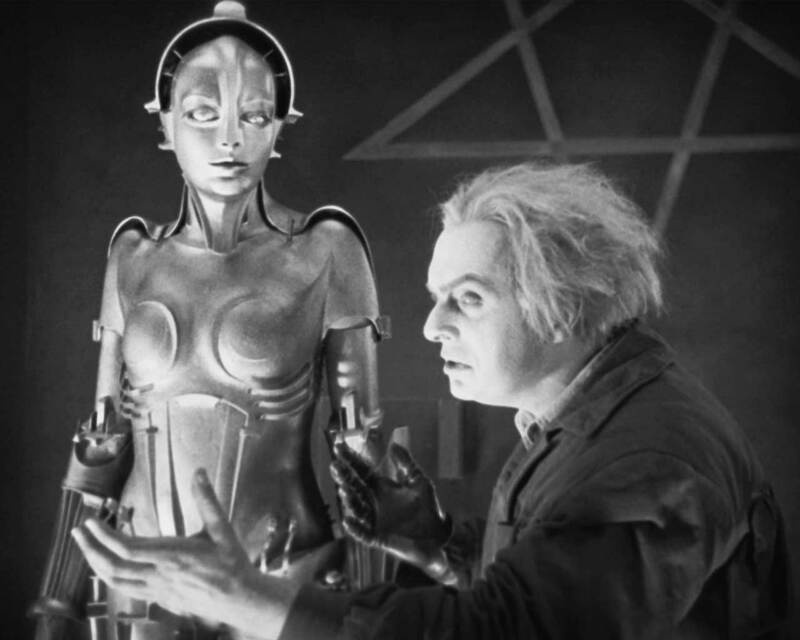 The fact itself, would just be a lexical curiosity, except that in addition, gynoids are also forgotten in science fiction, despite having Maria, the gynoid of Metropolis (1927), as the Eve of robotkind. However, and after this promising debut of gynoids in cinematography, their presence in movies, books and other media, diminished gradually and, in addition, every time a gynoid was portrayed, it was to fulfill a robotized version of same stereotypical female role of many fiction works. For example, robot maids, sexual slaves or the paradigm of “perfect woman” as in the movie The Perfect Woman (1949) in which the main characters are the gynoid Olga and the granddaughter of the inventor, Penelope, who tries to supersede the robot. We can find another example in the shabby Cherry 2000 (1987), where the supposed perfect woman gynoid loses the fight for “feminine perfection” against Melanie Griffith. As exceptions we can mention the T-X from Terminator 3: Rise of the Machines (2003), a.k.a. terminatrix, o Pris, Rachel and Zhora, the three gynoids of Blade Runner (1982), presented with the same status of the androids, although one of they were a robot for sexual pleasure. But, actually it is difficult to remember famous gynoids in the greatest sci-fi and fantasy sagas. When a robot has a prominent role in a story, it is almost ever masculine, an android. For instance, is there any feminine version of C-3PO or R2-D2 in Star Wars? A female Lieutenant Commander Data in Star Trek? Furthermore, anyone can read the complete works of robotics father, Isaac Asimov, and find no relevant gynoid in any novel or short story.